Workplace safety should be a top priority for any business, and knowing how to improve safety awareness is one of the most effective ways to ensure the wellbeing of your employees. No matter what industry you’re part of, health and safety is very much a primary concern of the modern business world. Every workplace has the potential for accidents to happen, but failing to improve awareness of safety risks will only increase the chance of an employee sustaining an injury or worse. In this post, we’ll highlight a few of the ways you can make the workplace environment safer by improving the awareness of employees. Improving the knowledge and training of employees is something that business owners should always be looking to do, especially when it concerns health and safety. This will not only give staff a more in-depth knowledge of the types of risks they could be exposed to, but it will also provide them with the necessary know-how to react accordingly if the worst should occur. Training is especially vital in workplaces such as warehouses, where large, heavy objects are stored and machinery is used. At Storage Equipment Experts, our SEMA-approved inspectors can provide racking inspection training that helps to improve the overall safety of the workplace, as well as teach employees how to carry out a risk assessment. Signs play a significant role in increasing awareness, maintaining safety and creating a sense of order. When it comes to workplace safety, one of the most simple and efficient methods of raising awareness is implementing the correct signage. Whether it’s a cone for a wet floor, a sign to highlight trip hazards or a sign to warn employees about forklifts being used in the area, increasing awareness will decrease the likelihood of accidents happening, because employees will be more aware of their surroundings. Another disadvantage of failing to implement proper signage is that it makes you liable if an employee is injured and takes legal action. If the proper warnings aren’t in place to raise awareness of the potential risks, you are putting your employees in danger and could suffer the consequences. A messy workplace doesn’t just look unprofessional — it could also prove to be dangerous for your employees. Cleaning up after yourself is something that most people will have been taught as a child, but it can be easy for clutter and general untidiness to build up at work, especially in hectic environments. Fortunately, this is an issue that doesn’t require a great deal of time and effort to fix. Getting into the habit of regularly tidying the workplace and paying close attention to areas where there is more potential for accidents (walkways, shelves, areas with machinery, etc.) will get your employees into a routine and decrease the risk of injury. The best way to increase safety awareness and efficiency is by carrying out a risk assessment and inspection. These can be performed by our SEMA-approved inspectors, who will assess the environment and ensure that your workplace health and safety complies with HSE standards. We also offer one-day racking inspection training courses that provide you and your employees with essential warehouse safety knowledge and advice, so that you can keep your workplace safe. Both risk assessments and inspections are highly beneficial for raising awareness, because they highlight the areas of your workplace that are causing issues and could potentially be dangerous. 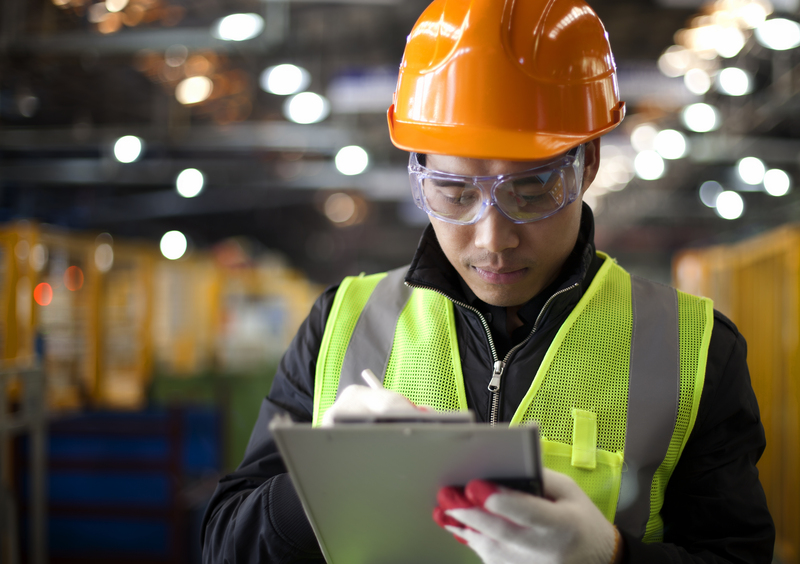 The keen eye of an expert and the knowledge they possess will massively improve workplace safety — even more so when combined with regular internal safety inspections. Are you looking to improve safety awareness in the workplace? We can help! At Storage Equipment Experts, our SEMA-approved inspectors help business owners enhance workplace safety with thorough racking inspections and employee training courses. Get in touch today to find out how we can improve your workplace safety.